I am always most grateful when I work with mamas who know what they want but still trust me to do my thing. Being able to get creative with a custom order can sometimes be a rare thing but it is oh so much fun when you get the chance. 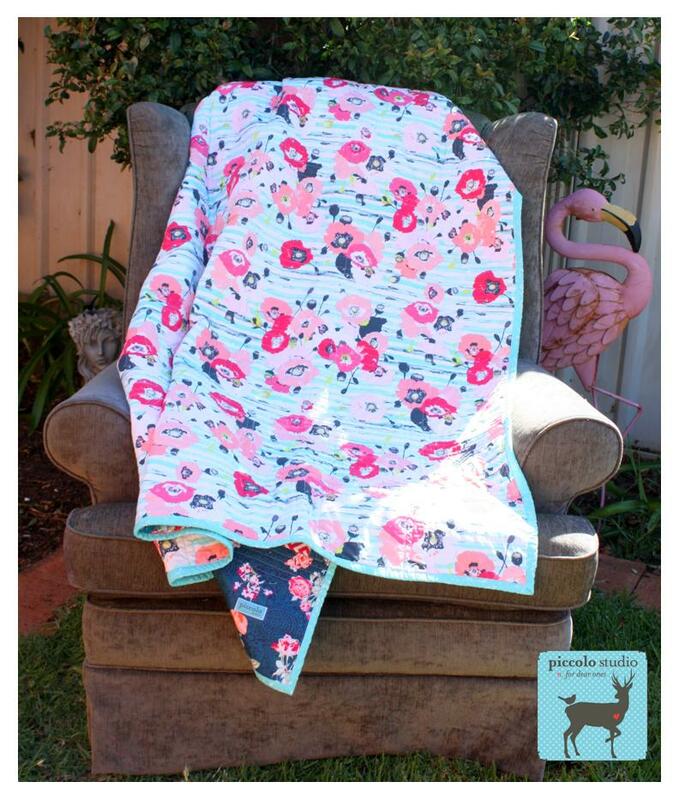 Robin ordered a mama throw and 3 rectangular cushions in the stunning range Skopelos, created by Katarina Roccella. 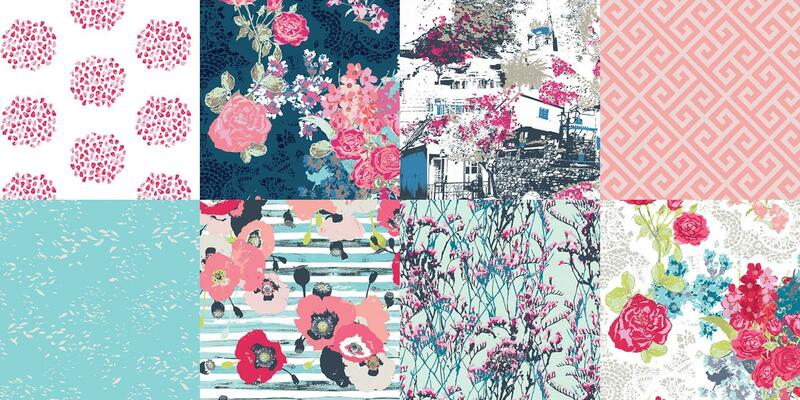 It is such a striking range with beautifully strong colours. 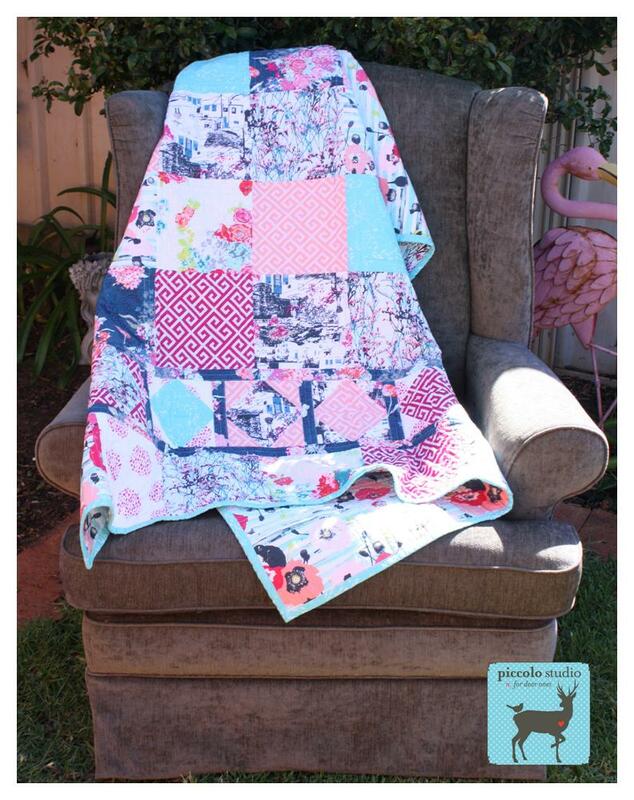 We decided on a patchwork throw and I used the divine striped print on the back – an absolute favourite of mine! Robin was lovely and let me play a bit with the design of the quilt. I am trying to work out what is my own unique style so I am so grateful for the chance to really sit and play with fabric. 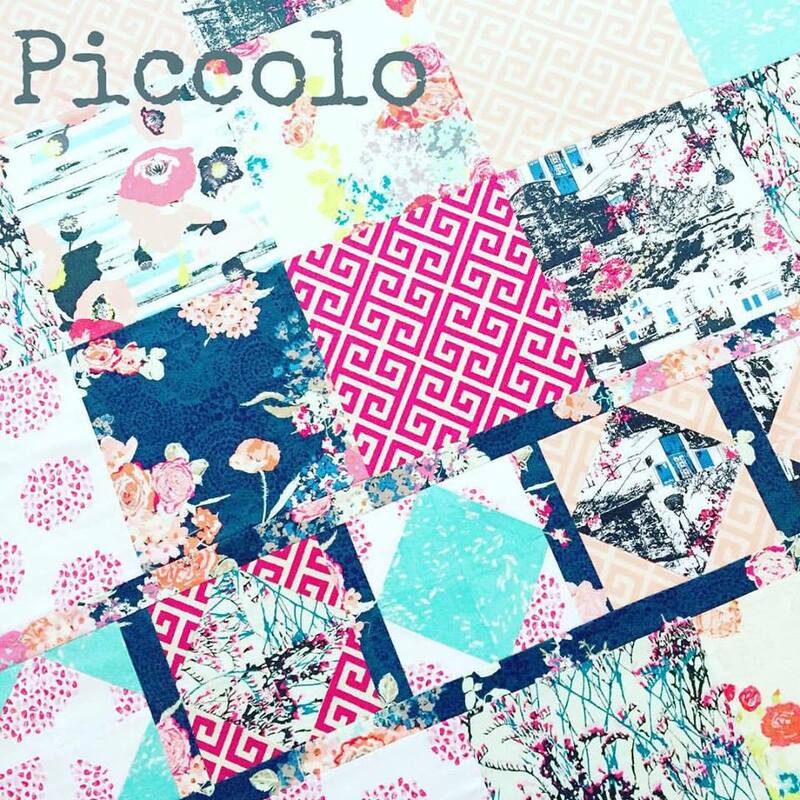 As a result I ended up creating a diamond inset pattern through the bottom of the quilt – simple yet striking and I think it was a great feature detail without being too fussy! With summer weather here I only have a really limited time each day before I cant take photos in my fave spot due to lighting problems, as you can see the sun was creeping up on the chair as I was snapping away so I had no choice but to call it a day. 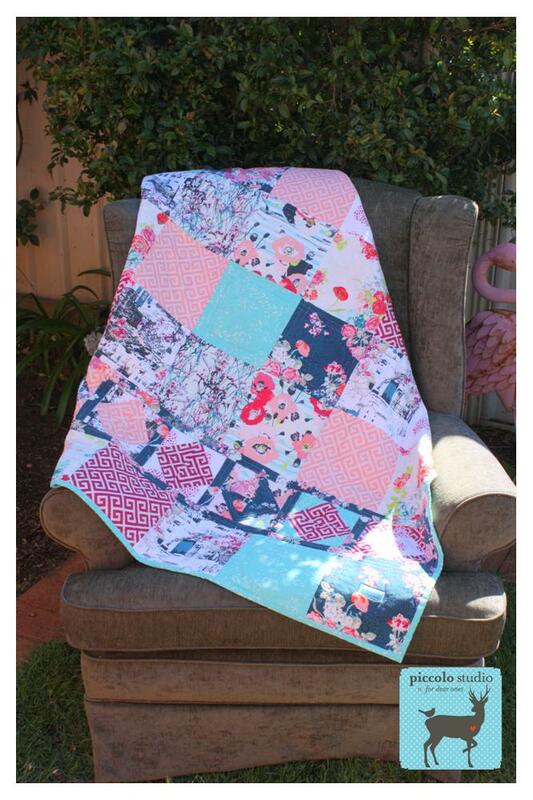 Luckily this quilt cant take a bad photo as you can see! 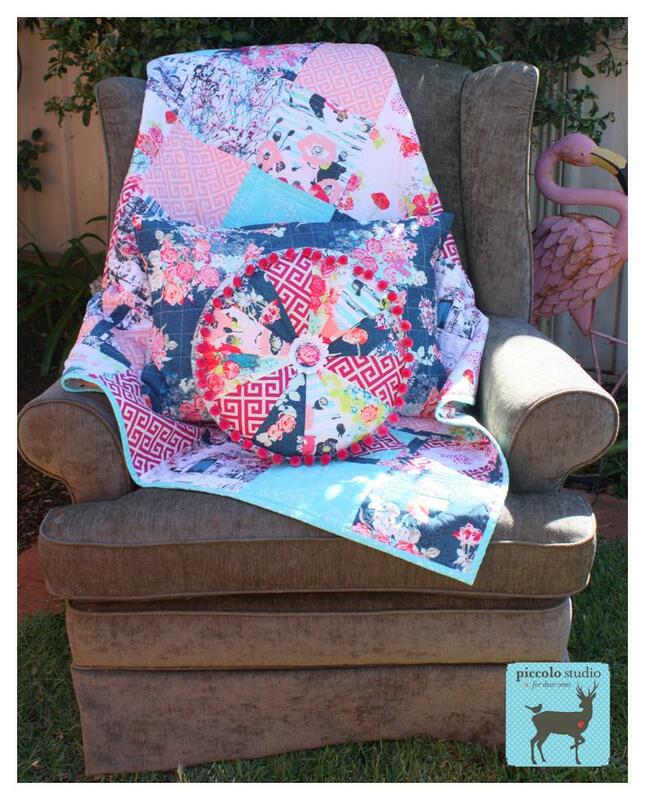 Like I said I backed the quilt in the divine stripe print from the range – certainly my most favourite of all prints! 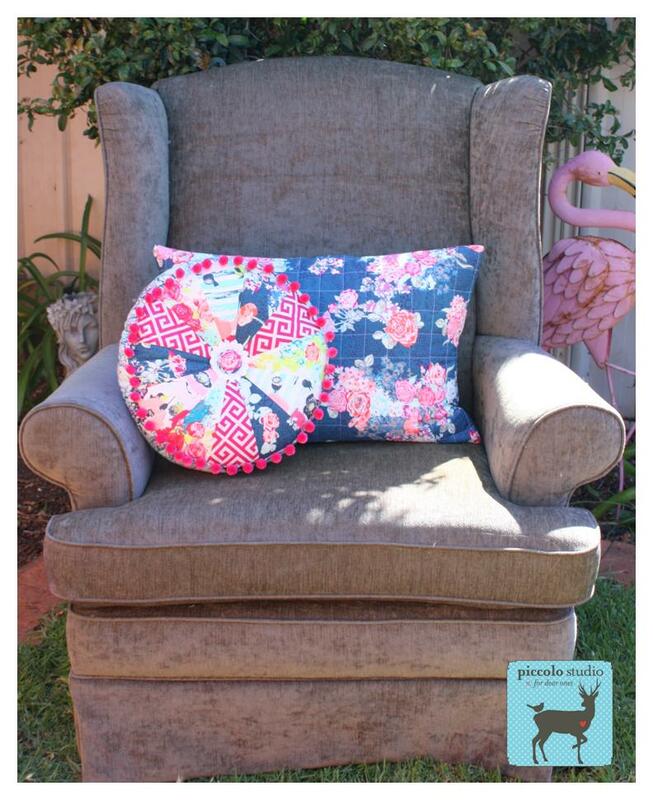 Now for the cushions – I contacted Robin a few times about these and she was so lovely and patient. In the end we decided to lose one of the rectangles in favour of an apple pie and I am so glad we did!! 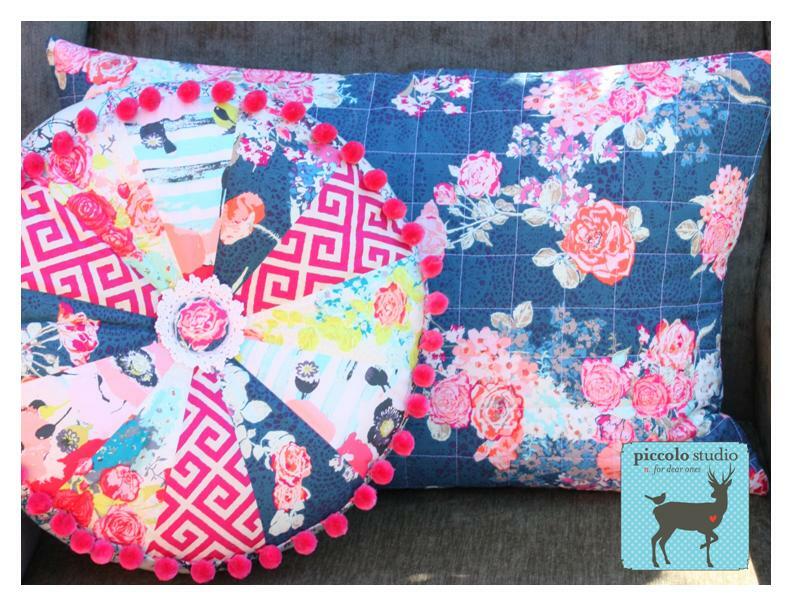 I didnt get a chance to photograph one of the cushions which was once again in that striking stripe print and I quilted it on the diagonal to make it different from the navy floral – they will look so great grouped together in their new home!